The fact that I even need to write this is astounding. I’m realizing that spirituality is soooo taboo and people aren’t really sure what it is. But with that comes a lot of ignorance – including people alluding to devil worship. *Eye roll* But Embracing My Spirituality doesn’t Mean that I’ve strayed from God in any form or fashion. My relationship with God runs deep. I’m not even sure how the devil worship even became a thing or an assumption. Disclaimer** If you are easily offended it may be time for you to bounce that aaaaa*** because I definitely need to set the record straight, and if you’re offended.. I won’t apologize. The fact that this needs to be said, is a problem within itself. I pray, everyday and I give thanks daily. Just because i chose a different way to follow God doesn’t mean that I’ve strayed. No, I may not sit in a church every Sunday, but I am finding ways to honor God in my day to day life. 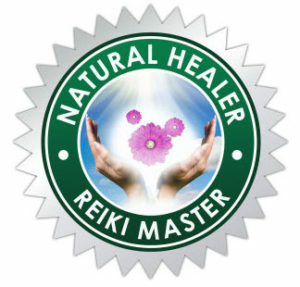 I meditate, practice yoga & reiki. I mind my everyday business and I genuinely just try to be the best version of myself, everyday. And I don’t see the problem. My aim is for more peace & light within myself as I navigate through life. What does sage& crystals have to do with it? Sage & crystals somehow make you a devil worshipper. I’m definitely uncertain of how this analogy makes sense. Incense are burned during most church services & I don’t see anyone crying devil worship from the pews. I don’t see questions being raised about that or any questions from those in service.. Yet, the fact that I burn incense bothers you… But you don’t live in my home or partake in anything that I do for myself so why would this affect you? The main reason I burn any of these things is to cleanse myself & my space of negative energy. I just want to be able to enter a room and sit with myself during meditation or prayer & just be. I love entering a room where the balance has been restored and it’s peaceful. Just mind your business and don’t touch my things. Your energy is gross and I really don’t need that sticking to me in any form. I’m just over here connecting to my higher self, seeking a sense of peace and happiness within myself and just bliss. I deserve bliss…. If you genuinely don’t understand someone’s “way of life”, there are ways to either ask or research for yourself. But linking everything that you don’t understand or you’re unaware of to evil, is beyond ignorant. Not everyone is trying to be a “witch” or practice voodoo, hoodoo or whatever else you picked up from TV. We allllll loved Coven but not everyone is out here trying to Marie Laveau, even though she was definitely a bad bihhhh… Most people, still listen to a great gospel song, meditate, align their chakras & stillllll make it to Sunday service to worship. But I guess ignorance is bliss. You want to believe so bad that the woman connecting to her roots is the devil or up to no good. You choose to believe that crystal use is of the devil and more. It’s the most backwards yet judgmental thing I’ve ever heard. Plus, being spiritual just means that you aren’t tied to a specific religion, it doesn’t make you a Satanist or an Atheist. So relax, mind your business and make sure that YOU are living a life that God will be proud of. Ya’ll worry entirely about the wrong things. Focus on yourself, and what you’re building and teaching your children. Focus on your relationship with God and if you truly have one verses just going through the motions. Do not ask me about devil worship, because I don’t know anything about that. I don’t practice it. I’m not a meditation away from that, and It’s just not in my nature or spirit to do so. Let me glow up. Everyone is attracted to the peace. the light and good vibes. And that’s cool and all, however, minding your business is in your best interest. Stop judging my life from a distance, sending me Bullsh** memes and using it as a Segway to ask if its true. Don’t worry about how I find peace or positives in crap situations. And if I’m truly going through what I am going through because my energy doesn’t show signs of struggle. It takes work, to see the positives in life and in every situation. It takes a whole lot of God and all of the light placed within the universe to function at a high frequency. God blesses me immensely and I’m beyond grateful. There is no devil here.